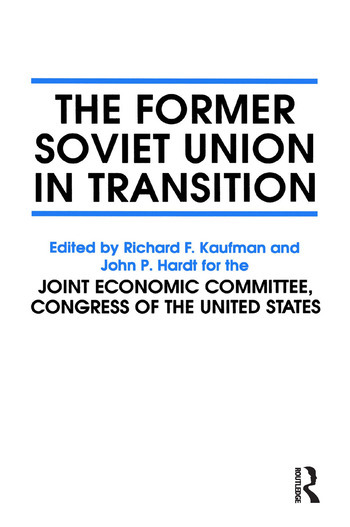 This edition of the Joint Economic Committee's 1993 reports on the economies of the ex-Soviet states tracks the Soviet and post-Soviet economic reform efforts, and looks at issues such as integration and developments. This collection of studies uses the processes of analysis and self-analysis to examine the social, political and spiritual forces at work in the post-Soviet world. The text includes discussions of ethnohistory, political anthropology and ethnic conflict, and symbolic anthropology.